Crafting for all Seasons is having a really fun challenge this round. The theme for this challenge is "snowman or snowflake". I wanted to try something different for this challenge. I do so love snowman and snowflakes. I used the Cricut cartridge - winter lace to make the large snowflake on this card. 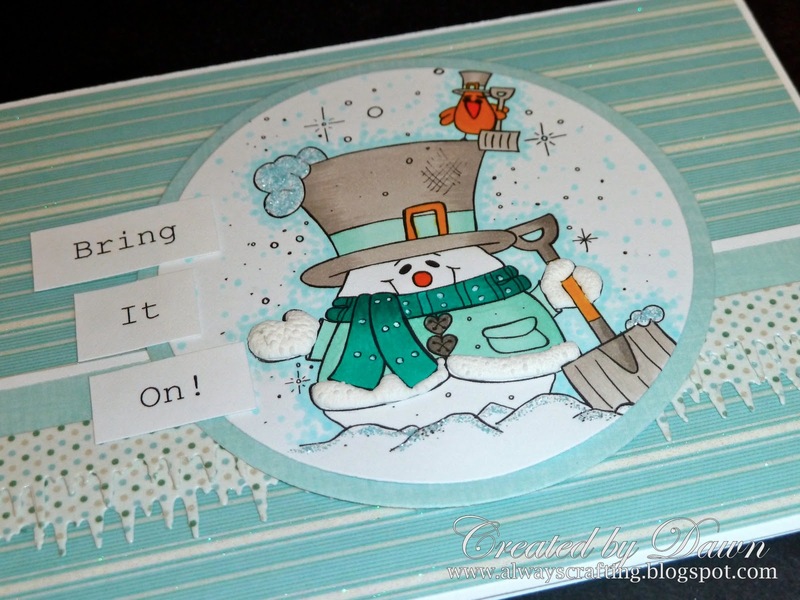 I used the snowflake embossing folder from Cuttlebug and the image is from Hambo Stamps called Snowman sled. I have been waiting for just the right challenge to use this image and, of course, a little white glitter from Martha Stewart for the snow. Instead of blues I just had to try purples. I love the result. Two gorgeous cards Dawn, you've coloured the snowman beautifully. 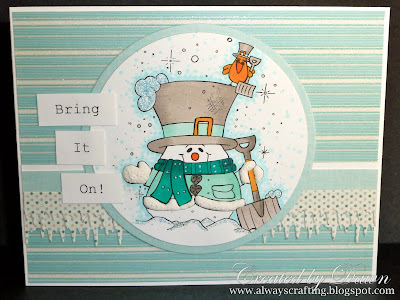 Stunning cards, love the snowman image - he is so cute. So glad you joined us at Use It Tuesday! Both cards are beautiful. Love all the detail. Thanks for joining us at LCI Challenge this week. Wonderful! Thanks for playing at Use It Tuesday! 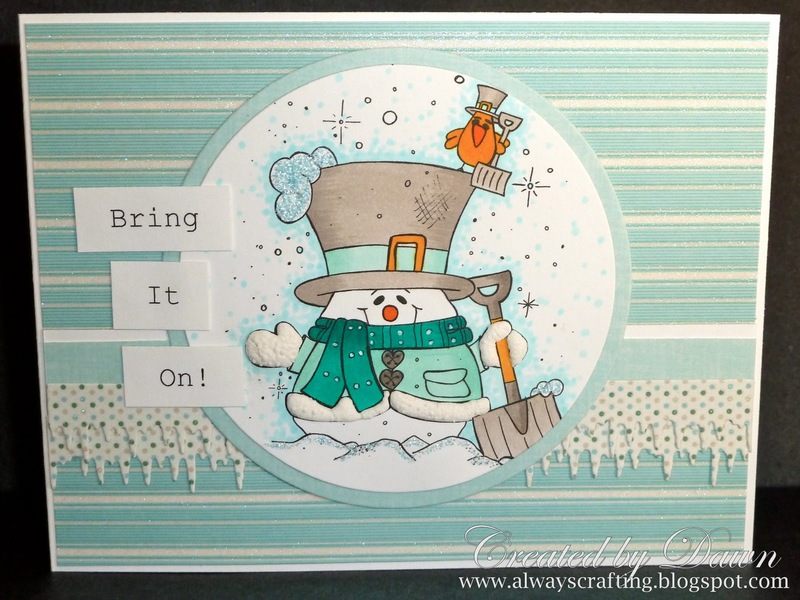 Love the teal and the icicles! Thanks for joining us in the Tuesday Throwdown. Love this its great! Thanks for joining in at the creative card crew challenge. Great card, love the glittery snow with this image. Thanks for joining us at Going Grey with Scrap-Creations this week! these cards are great...I really like the bottom one with that snowman going down the snowhill...thanks for playing along at shopping our stash this week.